Paleontologist Larisa DeSantis studies the teeth of ancient and modern mammals to determine how their diets changed across the millennia and, by extension, their responses to climate change. But the question lingered: Is wear on teeth an indicator of what kangaroos and koalas ate or just how much gritty dust and dirt they consumed? The Vanderbilt University professor's latest research, published today in the peer-reviewed journal PLOS ONE, confirms the shape of tooth wear best indicates what they were eating, not what was on it. "We can investigate the teeth in modern animals, begin to understand exactly what they're recording and then take that information – a kind of Rosetta Stone – back into the fossil records and interpret the behavior of fossil animals," said DeSantis, assistant professor of earth and environmental science. "While we eventually aim to look at how diets have changed over long periods of climate change, this study focused on whether these teeth were recording diet or aridity." DeSantis targeted Australian marsupials for her dental mesowear work because that continent has been drying out over millions of years, making it a rich environment to study how changing climate prompts animal evolution. Tooth wear evidence that animals ate a lot of grit indicates an arid climate. 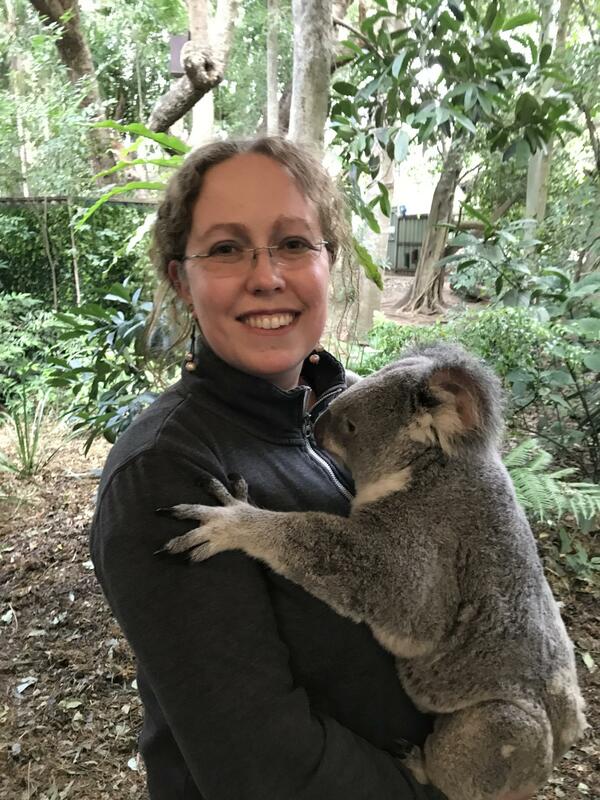 For this particular study, she and a team of Vanderbilt graduate and undergraduate students analyzed casts and photographs of teeth from koalas and kangaroos that died over the past few decades to compare with modern climate and dietary data. The journal article is titled Effects of climate on dental mesowear of koalas and two broadly distributed kangaroos throughout their geographic range, and the research was funded by an NSF CAREER grant.